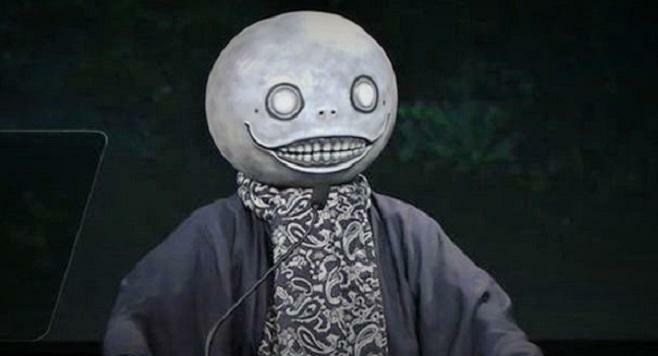 You all know Yoko Taro by now, right? Not many have seen his actual face because he tours conventions with an awkward moon strapped to his head and speaks primarily in body language. He also has two cult-hit Square Enix franchises to his name, Drakengard and NieR, and his next game, NieR: Automata, looks to finally give his awkward style broader appeal. Never one to wait, Yoko Taro and Square Enix have teamed up before the release of this game to create a mobile game called SINoAlice for iOS and Android. The game will deliver the kind of "unique and rich world" that only Taro can create, and it is scheduled for release in Japan this coming spring. Do you remember? That story read to you when you were little. A story of a beautiful princess and strong hero. But we're ignorant. Even now, the girls still wander about. This is the "Library," the imprisoned world, a place bound by the story's never-ending cycle. Gathered are the characters of the story. These girls only have one wish. To resurrect the "author." For each darkness held by these characters, each has a desired future. What kind of story is the conclusion of the girls that wish for the resurrection of the creator…? Yoko Taro is one of those developers with a small but fiercely loyal following. I have no idea if Square Enix intends to localize SINoAlice for Western audiences, but those who love his games will definitely find a way to play this.